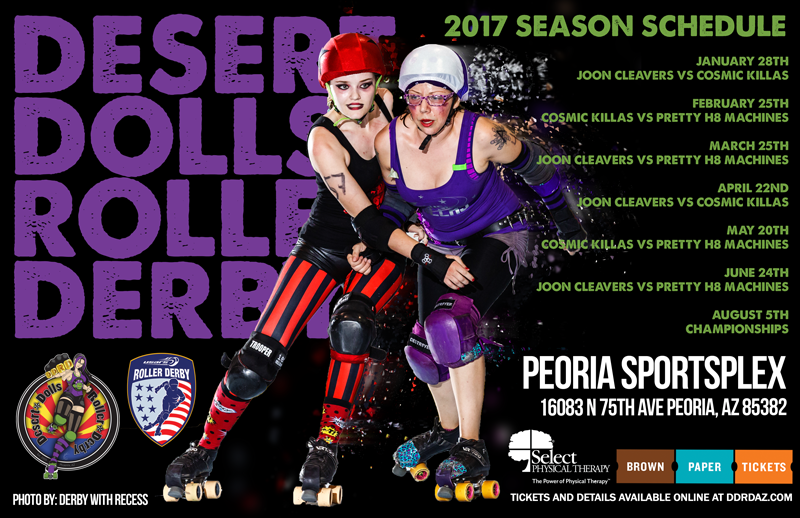 Desert Dolls Roller Derby is proud to announce our 2017 Season Schedule! 2016 was one of the most competitive seasons in the league history and 2017 looks to be another exciting, action packed season. DDRD will be returning to the Peoria Sportsplex each month to battle it out on the track! Tickets will be available January 2nd for our first game of the season which features a championship rematch between the Joon Cleavers and the Cosmic Killas. Get your tickets early to save some $$ and come out and support some high speed roller derby! See you in 2017!